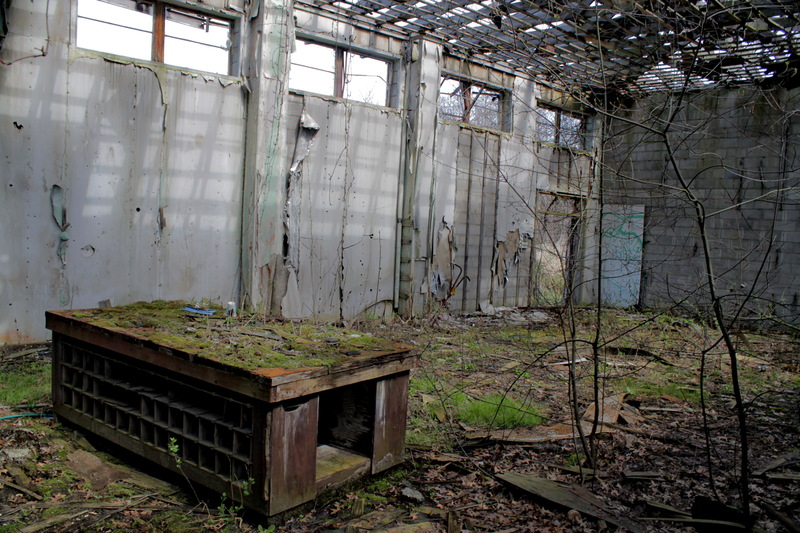 Located in the township of Brookfield, Ohio, the Brookfield Air Force Station is an abandoned military radar base that was built in the 1950s as part of the Strategic Air Defense Network [for the Cold War]. The site housed the 662d Aircraft Control and Warning Squadron and began operations with AN/FPS-3 and AN/FPS-5 radars, and initially the station functioned as a Ground-Control Intercept (GCI) and warning station. As a GCI station, they could track aircraft attempting to strike sections of the Northeastern United States [launched from Soviet Russia]. They could also guide aircraft from the sister station [Vienna Air Force Base] and help their pilots intercept enemy air craft. Over the years, the base upgraded it’s radar capability by incorporating AN/FPS-4 and AN/FPS-6 radars. The site also had two large radome towers housing a AN/FPS-14 and a AN/FPS-18 radar. 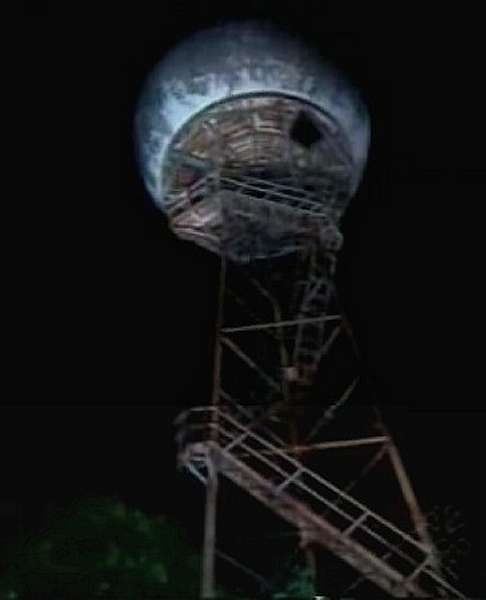 The above picture shows one of those radar towers before their destruction in the 1990s. The Air Force transferred operations [as well as the 662nd] to Oakdale AFS, Pennsylvania in 1959 due to budget cuts and restrictions. Brookfield’s two radomes were still used as a Gap-filler Annex for Oakdale until 1968/69. In 1963/64 the bulk of the site [the top half of this photo and most of the buildings and barracks] was acquired by Trumbull County and eventually [in 1965] it was transformed into the Trumbull County Nursing Home Facility. In the early 80s, after the Air Force had completely left the site, the county decided to shut down the Nursing Home facility due to budget issues. Now before I continue, let me be perfectly clear here. Trespassing is not suggested! Brookfield PD patrols this property frequently, several times a day to be exact. There are only a select group of people who are allowed to be up on that property and if you are not part of that group, you will most likely be charged with trespassing. 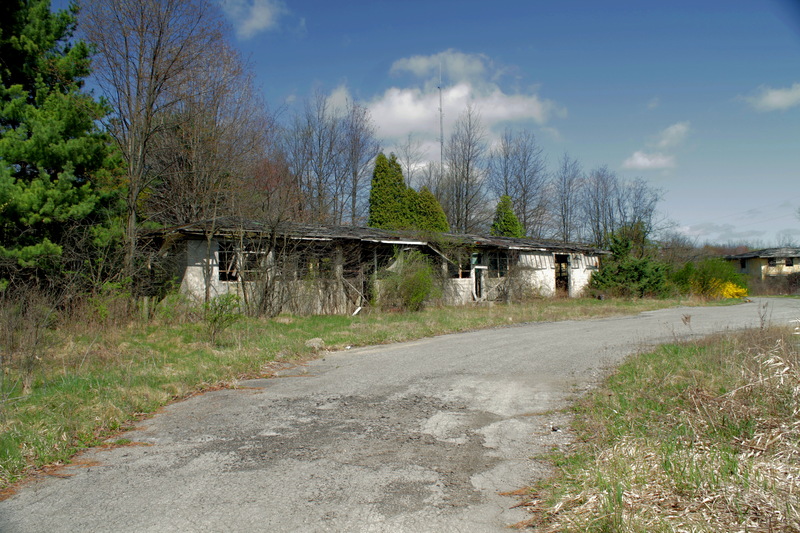 The property [at this moment] is still owned by Trumbull County and they are quite active in attempting to keep vandals and vagrants out of this place…and quite frankly, I don’t blame them. The site has been vacant for 20+ years now and vandals, vagrants and Mother Nature is starting to take its toll. Roofs are collapsing, floors are caving in, concrete is cracking and rust and trash seem to be everywhere. At night, I won’t lie, the site is creepy; it seems like every sound is amplified and you are always wondering ‘what was that?’. Coyotes are a real issue here [which is one of the big reasons why night time is creepy], not 100% sure if it is a pack or not, but seeing two in one day was enough evidence for me. What is in the future for this site? 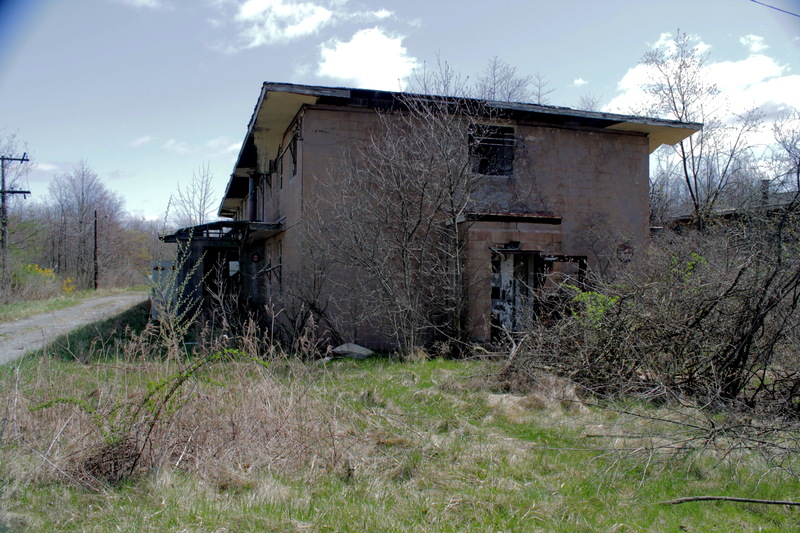 Well the future is kind of unknown for now, but I can say that Laythrom has voiced its concern and desire to obtain this property from the county. We currently have permission and full access to the property for use in our film “Within” and you may also see some of it in our teaser for “South Side”. 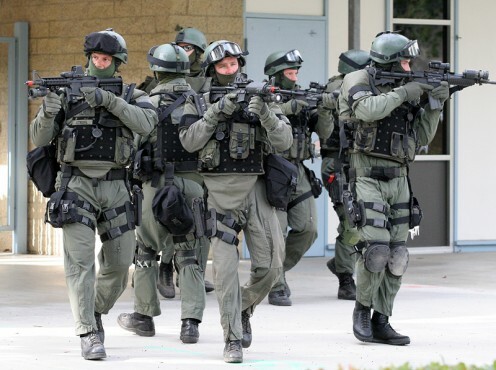 Aside from that we are also looking to utilize the property in the near future for Laythrom’s Operations Training [OPFOR-Force on Force] with area law enforcement and military personnel. 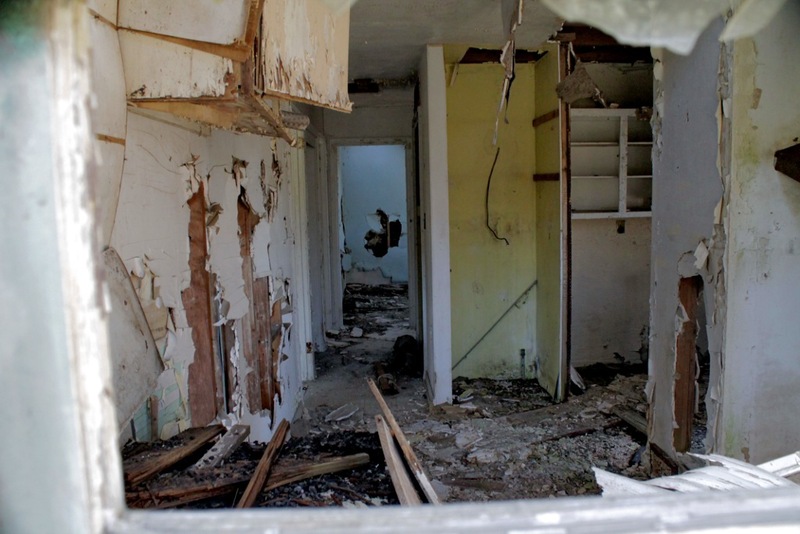 But for now, sadly, the derelict property continues to sit in disrepair. Hopefully this can be one of the few remaining ‘Cold War’ Operations Sites that will not be destroyed and forgotten in place for a new industrial complex or village park. Below you will find some recent photos of the site [taken on 26 MAR 2012] along with some descriptions/titles. If someone from the area really wants to tour the site, please contact us at Laythrom to do so. In the next few months you will have two different production/film crews on location, so undesired or unscheduled visitors are frowned upon. However, if you do contact us and set up a time to tour the site, we would be more that happy to do that. Also, goes without saying, you won’t have to worry about being caught and questioned by the local police. 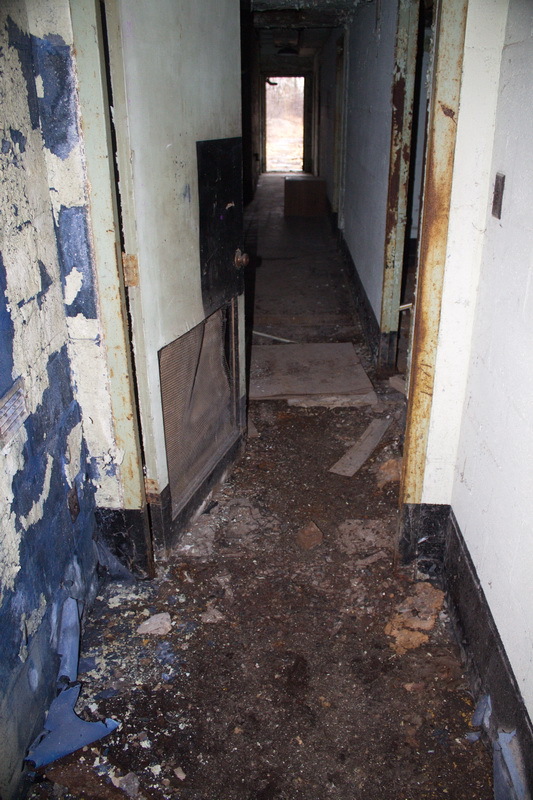 This is the hallway [that we have nicknamed “Broadway”] in the Radar Operations Building. Oh, I did forget to mention something as well, there is still quite a bit of HAZMAT in the buildings. Stuff such as asbestos, leaded paint, PCBs and who knows what else is in there that we’re not aware of. You can also find more photos here at out Flickr account.